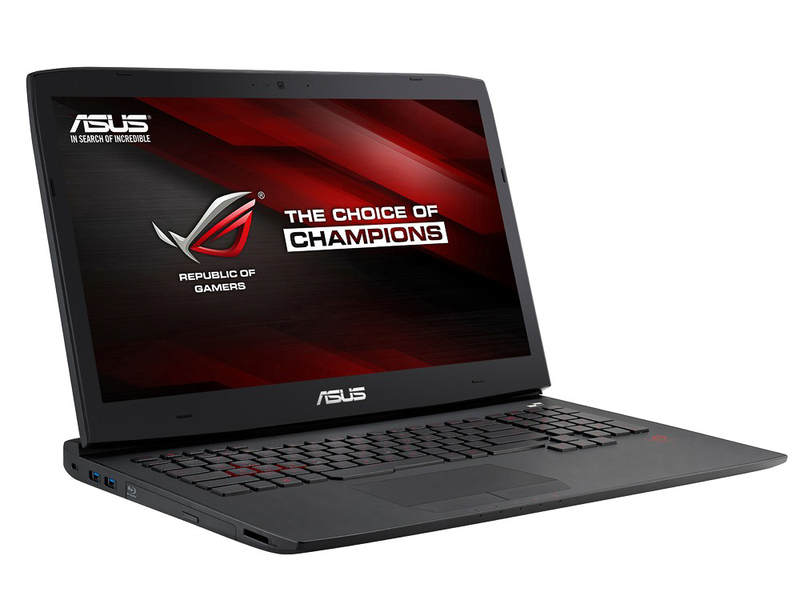 The latest high-end Asus Republic of Gamers laptop is the G751. 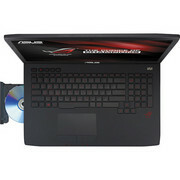 It is the right laptop for those looking for top-shelf gaming technology. Its matte black exterior looks good with the red LED logo and the fan grilles sticking out on the rear. The keyboard is slightly angled compared to generic laptop designs, and makes typing a lot less stressful on the wrist. 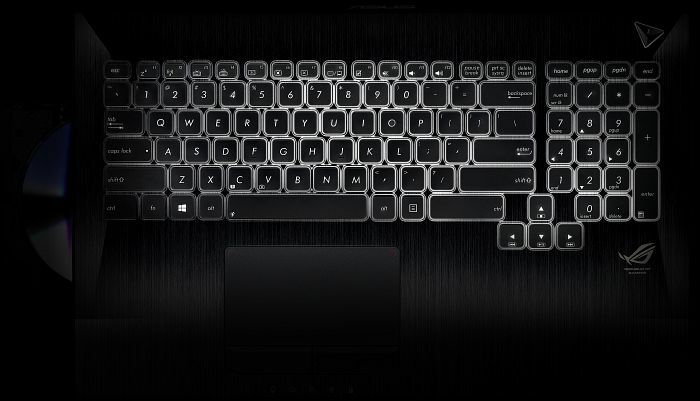 The red keyboard backlight features 3 brightness level, which allows optimization for gaming in a darker environment. The display is often important for gamers and the G751JY doesn’t disappoint. With its high contrast ratio and color accuracy, it is perfect for gamers who want to observe every fast moving detail accurately. 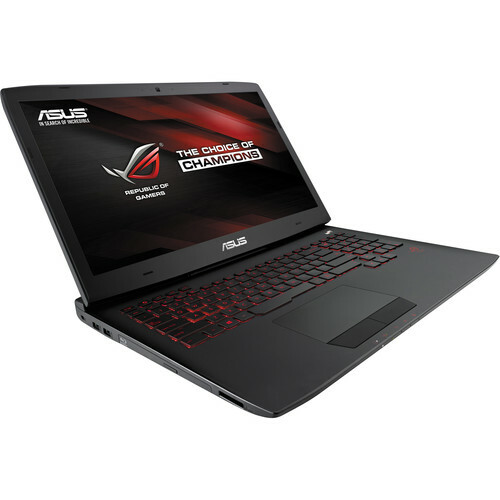 The gaming hardware is also top notch, with a Intel Core i7-4710HQ 2.5 GHz CPU, 24 GB of RAM and the insanely fast GeForce GTX 980M. 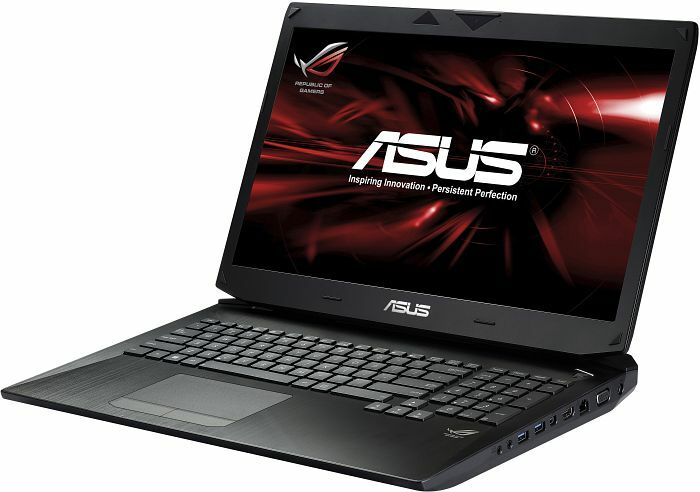 The graphics card especially makes this laptop stand out among its competitors. It allows running the latest games with maximum graphics settings. 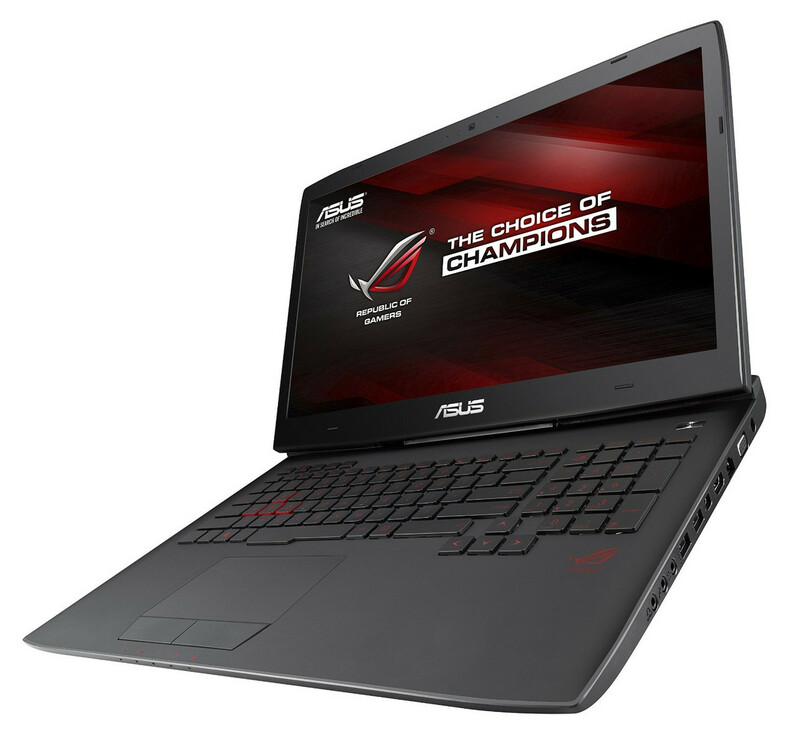 Fast and beautiful, the Asus G751JY is sure to bring your gaming experience to the next level. 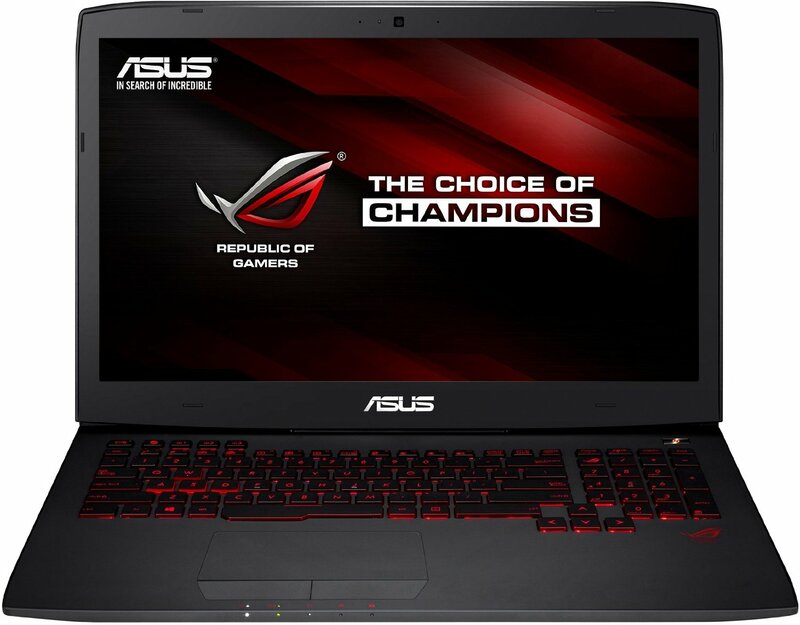 But this ASUS ROG G751 is a bloody beautiful machine, providing 1080p gaming at 75FPS+ without a problem with a few tweaks to in-game visual settings. The first time I fired up Battlefield 4 and Team Fortress 2, I was completely blown away by how silky smooth everything was. I had the ASUS ROG G751 sitting on my lap and I was playing Battlefield 4 at 75FPS at 1080p, I simply couldn't believe my eyes. I had to recheck the settings to make sure I wasn't somehow locked at 720p, but I knew it was 1080p; I was just trying to reaffirm that this laptop was capable of that level of performance. The game performance from the Asus G751 should please anyone who wants a premium gaming experience without trading up to a massive desktop tower. Especially playing at 1080p resolution, this system, or really any laptop with a current-gen GPU, is going to outperform the big living-room game consoles from Microsoft and Sony by a large margin. 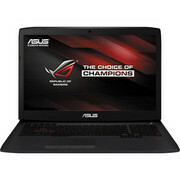 If you're in the market for a gaming laptop the ASUS G751 is the new gold standard for everyone else to beat. And we want to give credit where credit is due -- NVIDIA's GTX 980M is easily the best mobile GPU architecture we've seen to date. It's far better than Kepler-based hardware. 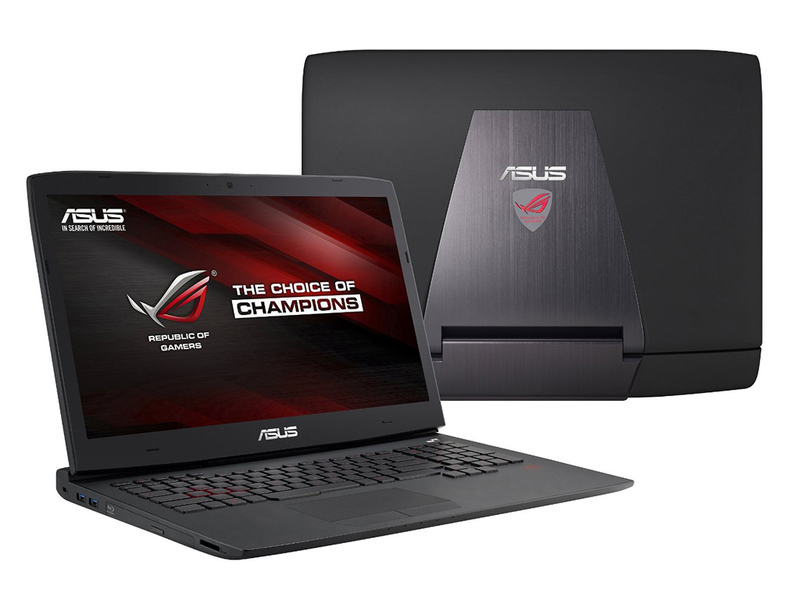 ASUS' G751JY is locked and loaded, set on becoming the new gaming laptop to beat. In many ways, the $2,499 notebook is right on target, delivering a bright and vivid 17.3-inch display, powerful graphics, and blazing-fast SSD. It's a bargain compared to the $2,999 MSI GT72, which delivers comparable gaming performance but stands out with a customizable backlit keyboard and better audio. A speedy CPU is a must and swoopy, stylish design is important, but the greatest credential a gaming laptop can have is the newest top-of-the-line graphics chip. 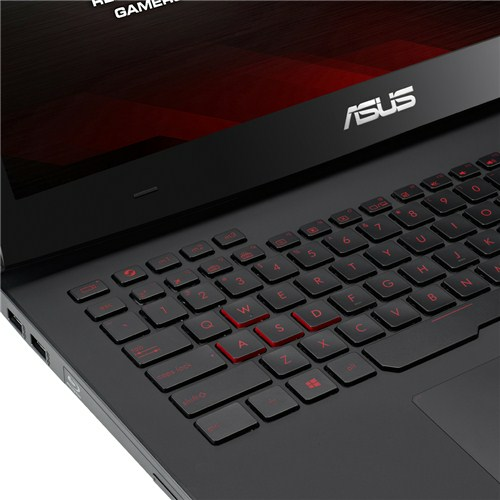 Asus' latest gaming laptop is a dazzling and quiet performer, thanks to Nvidia's latest graphics chip. The screen, audio, and input devices are also impressive, and the price is right. We wish the power plug fit more snugly in the jack, but that's a quibble. 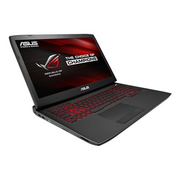 The Asus ROG G751JY-DH71 retails at $2,500, and it’s the least expensive version available that also includes the Nvidia GeForce GTX 980M GPU. 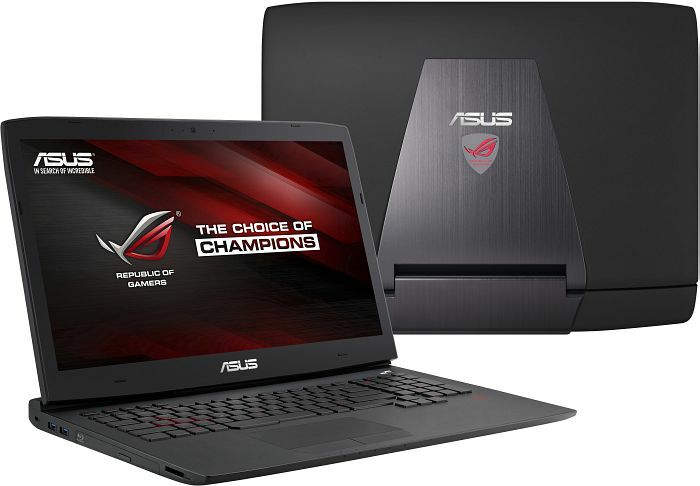 This price is competitive, but it’s not the knock-out value that has been offered by some previous Asus gaming notebooks. MSI, for example, offers the GT72, which is very similar, for $200 less. Creating a powerful gaming laptop to satisfy demanding gaming needs as well as attempting to factor in portability and a sporty appearance is no mean feat. 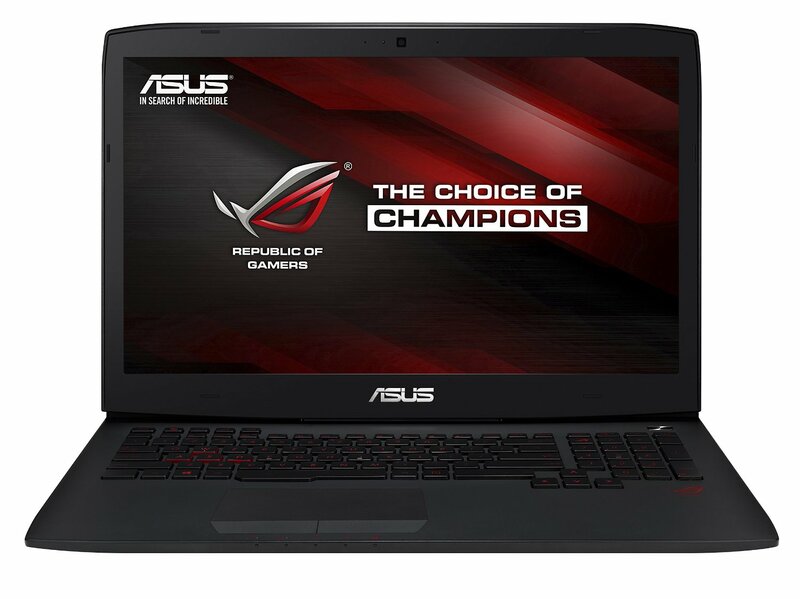 Asus has risen to this challenge by producing the Asus ROG (Republic of Gamers) G751JT. 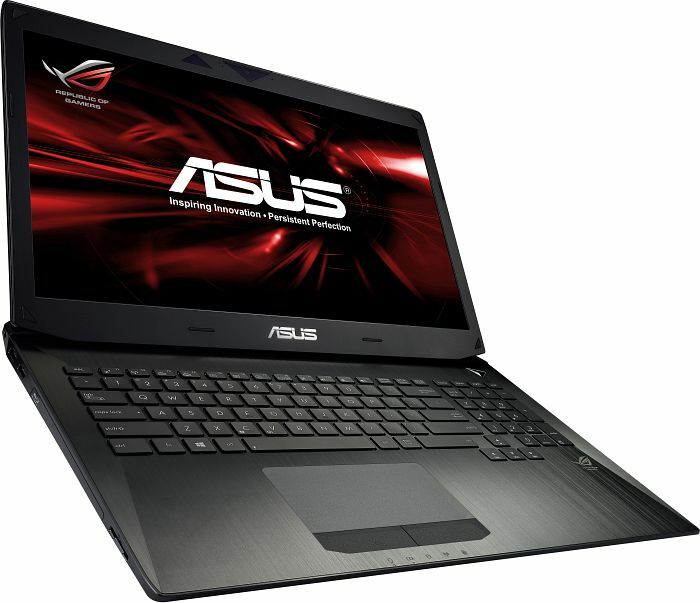 First off the gaming laptop has a huge 17.3 inch matte LED display with Full HD (1920 x 1080 Pixel) resolution. Apparently you get a 178 degree wide view angle on the screen and extra anti-glare layers. 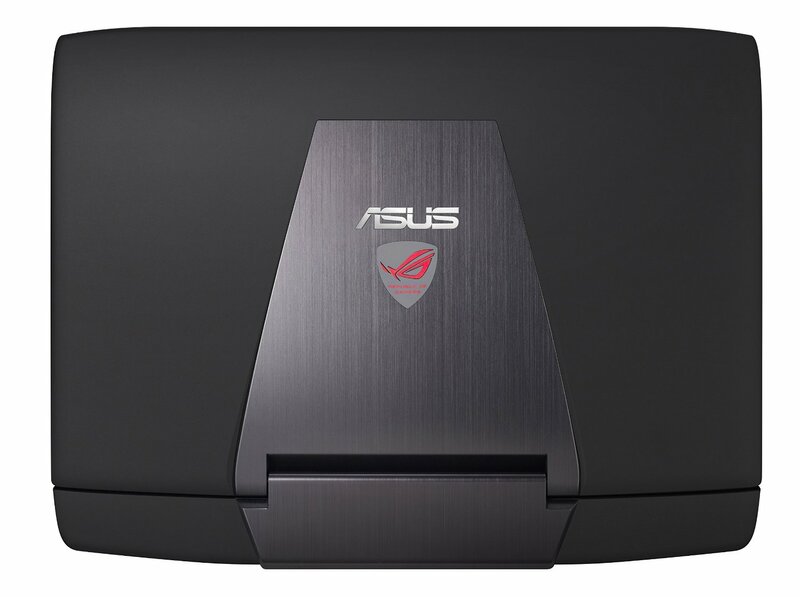 The external body has an aluminum finish and there is a brightly lit ROG logo on the back of the lid. The ventilation holes are red and made to look like sports car grills. The keyboard is angled downward so that your wrists can play naturally during gaming sessions and does not feel tired. 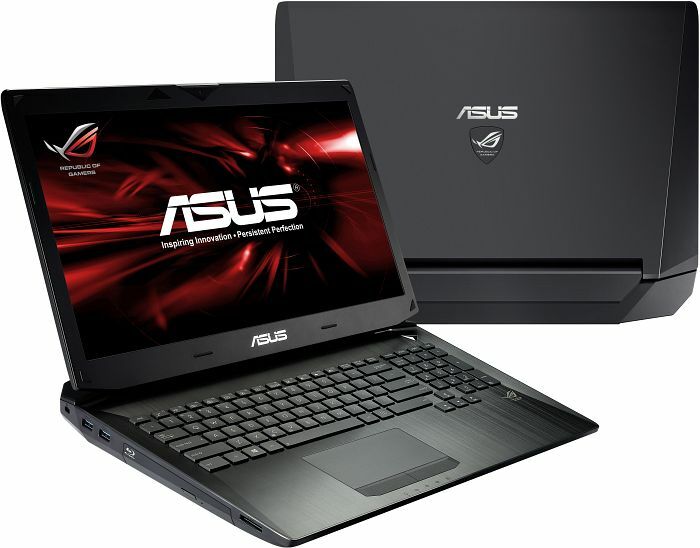 The laptop is powered by a Intel i7 quad core processor which can clock at up to 3.5 GHz thanks to the Turbo Boost 2.0 technology ASUS has developed. There is also an NVIDIA GeForce GTX graphics card that can overclock thanks to ASUS's own TurboMaster Technology. 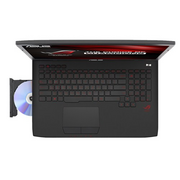 Since gaming laptops frequently overheat from the rapid data processing, there are intelligent dual fan systems in place to keep things cool during all those demanding gaming sessions. 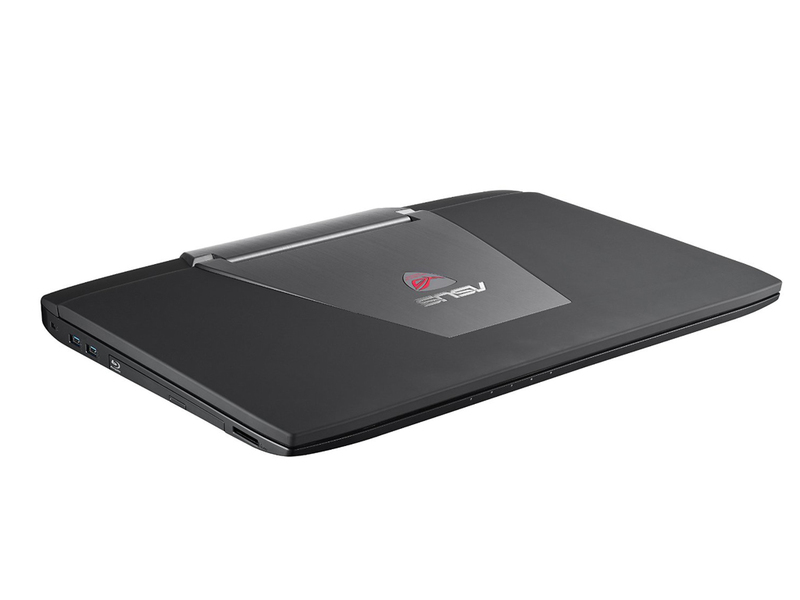 However, do keep in mind that this gaming laptop weighs a hefty 4.2 kg since it packs in so much of power. 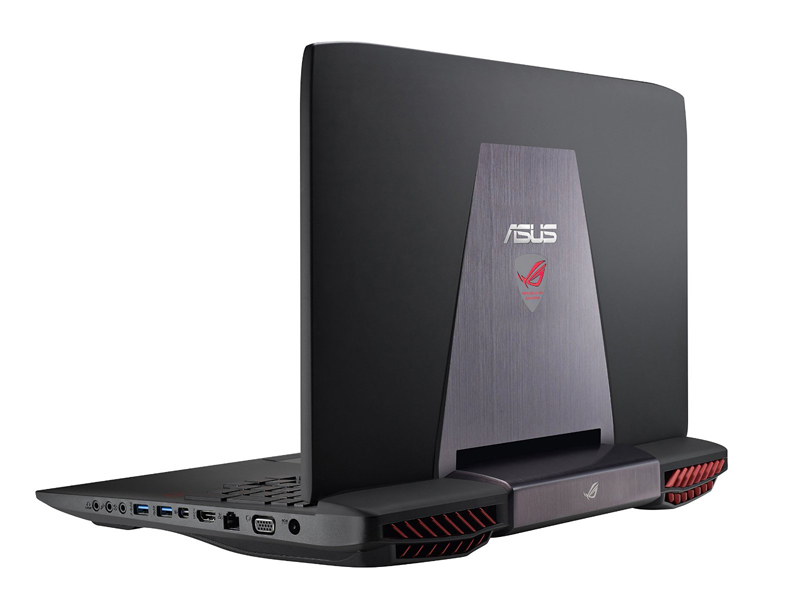 Perhaps the biggest debating point about the G751J is the screen as Asus has chosen Full HD 1,920 x 1,080 rather than the 4K panel we recently saw in the Cyberpower Fangbook Edge 4K. It feels so right to sport 3,840 x 2,160 pixels however you need epic graphics power to drive the panel and most games crawl along at a lowly 15fps or thereabouts. 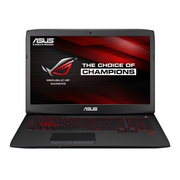 While we are converted to 4K on the desktop it is far more questionable on a laptop and it feels as though Asus has made the right decision in specifying Full HD for the G751J. Positive: Excellent performance; reliable machine; well finished and cooled. Negative: Poor mobility. Positive: Good build quality, cooling system, IPS display and keyboard. Negative: Only 1 M.2 location. Positive: Excellent performance; high-quality IPS-display, very comfortable full-size keyboard. Negative: Set of connection ports. 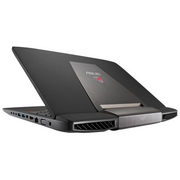 Positive: Great graphics performance; IPS screen; beautiful design and rugged; quality speakers + sub-woofer; good cooling system; comfortable keyboard. Negative: Bulky and heavy. 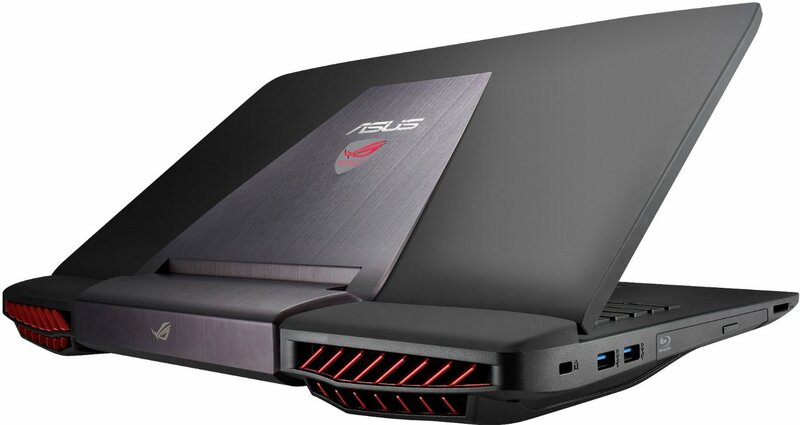 Asus G751: новият еталон за „мощен лаптоп“! Positive: Peak performance; awesome display; excellent energy efficiency, quiet, cool and impressive battery life; solid and robust; solid connectivity options. Negative: Mediocre sound system. Gaming champion 2014. 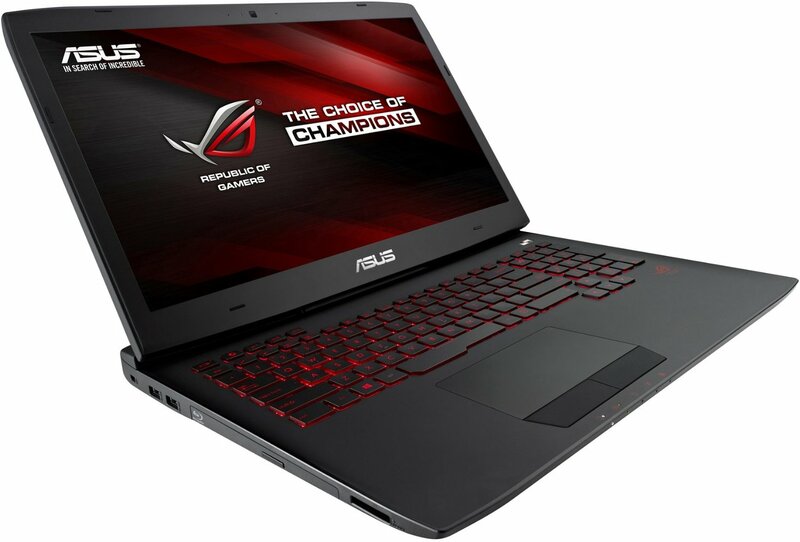 Asus now uses the GTX 980M as well and offers a very successful and extremely fast ROG gaming notebook in a reworked 17-inch chassis. MSI's GT72 2QE is one rival with even better specifications, but the top version is also 50% more expensive. Our test determines the winner in the clash of the titans. 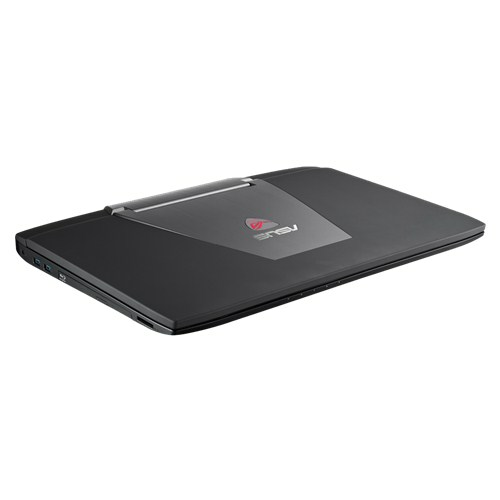 Positive: Excellent performance; efficient and quiet cooling; quality assembly; comfortable keyboard and touchpad. Negative: Low autonomy; large dimensions. 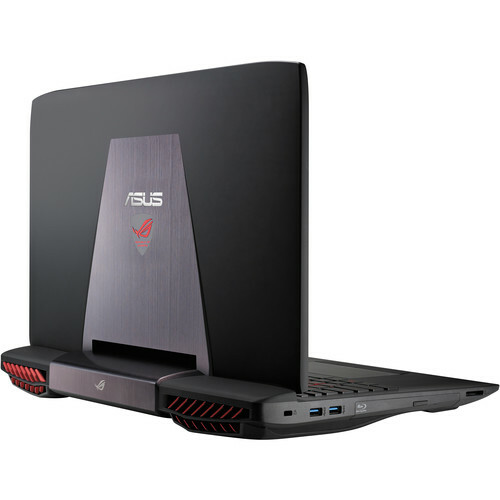 The Asus G751JY is a beast, and while it's not the fastest 17 inch gaming laptop out there, it is probably the best value for the buck you can get right now. It can handle games smoothly at maximum details, it runs fairly cool and quiet, it looks good and feels strong, feels like something built to last. And that's why I believe it's worth buying, despite having a few minor issues, as you'll find from the detailed post. Positive: Powerful hardware; outstanding quality display. Positive: Great performance; good design; excellent screen. Negative: High price. Positive: Outstanding performance; very good quality; quiet and efficient cooling system; very good display; comfortable keyboard with extra keys for macros; a plurality of connectors; sober (but not devoid of character) appearance. Negative: Price. Positive: Outstanding performance; very good quality; quiet and efficient cooling system; very good display; comfortable keyboard with extra keys for macros; a plurality of connectors; sober (but not devoid of character) appearance. Negative: High price. 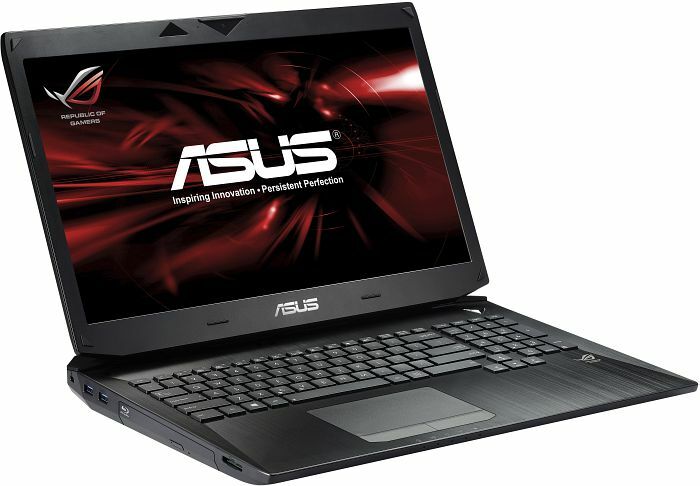 Positive: Great design; powerful hardware; good screen; user-customizable multimedia keys; pleasant battery life. Negative: Inconvenient location multimedia buttons; high price. 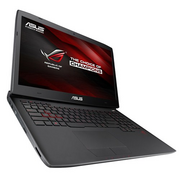 Positive: Excellent performance; good cooling system; good storage subsystem; IPS display. Negative: Bulky and heavy; inconvenient position of connecting ports. Positive: High performance; attributed stylish design; excellent touchpad and screen. Negative: Poor keyboard. 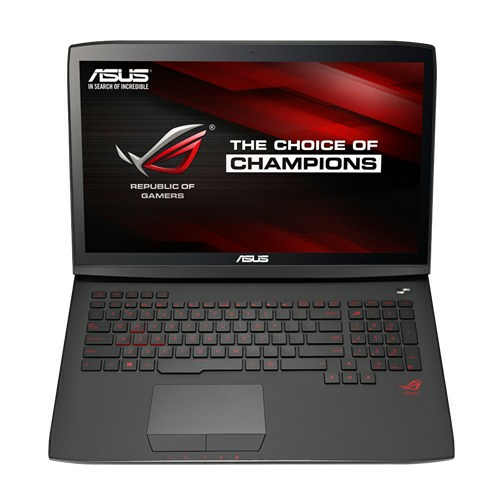 The Asus ROG G751JT-T7033H is one excellent looking gaming laptop that will satisfy the most demanding of gamers. The matte black device looks futuristic with brushed metal accent on the lid and the dual fan vents looking spacecraft-like. 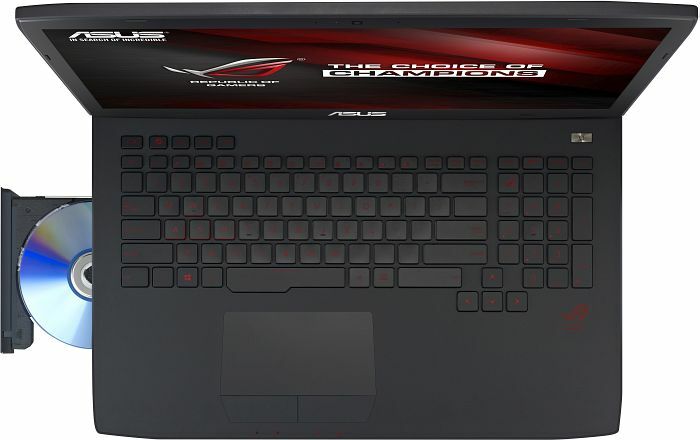 Asus also included a full keyboard with red LED back light, fitting the ROG theme. The Windows 8.1 gaming machine comes with an Intel Core i7-4710HQ processor clocked at 2.5 GHz, up to 32 GB DDR3L SDRAM and NVIDIA GeForce GTX970M with 3 GB GDDR5 making it a powerhouse for current and in the near future gaming titles. Users have the option to select from multiple storage options with a combination from 1 TB HDD 7200 RPM and 256 GB SSD being one of the best. 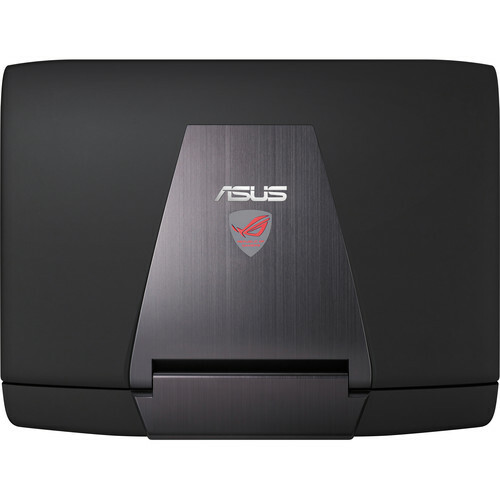 Other features that come with the Asus ROG G751JT-T7033H are a card reader, a selection of optical drives to choose from, an HD webcam and Bluetooth 4.0. 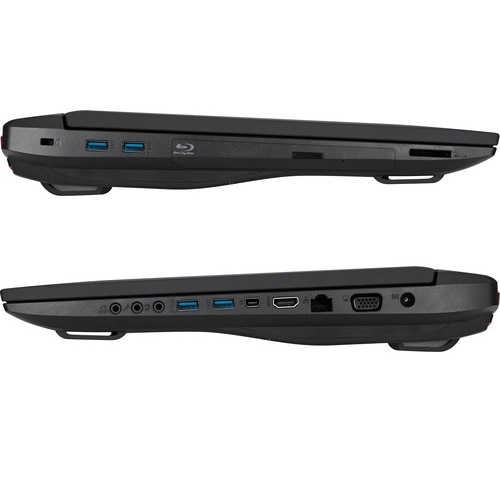 Interfaces available on the laptop consist of 2 headphone-out jacks, 1 VGA port/Mini D-sub port, 4 USB 3.0 ports, a HDMI out and 1 Thunderbolt port. The 17.3 inch anti-glare IPS display features an aspect ratio of 16:9 and FHD resolution and produces superb image quality. Audio quality is also top notch with the built-in speakers and subwoofer powered by MaxxAudio. 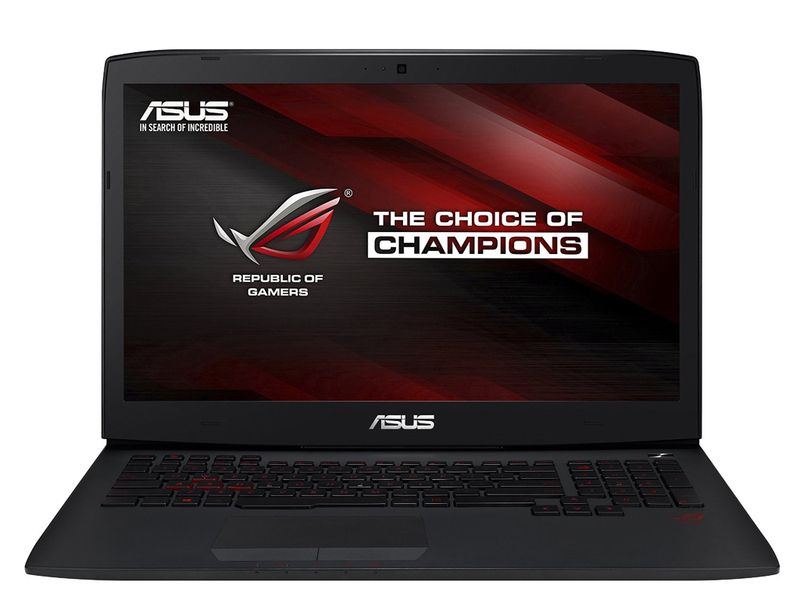 The Asus ROG G751 is a first-rate gaming laptop. It has tons of connections and superb in-game performance, all with low fan noise and heat. Our only complaints are with this model's lack of an SSD and that the speakers could have been better. 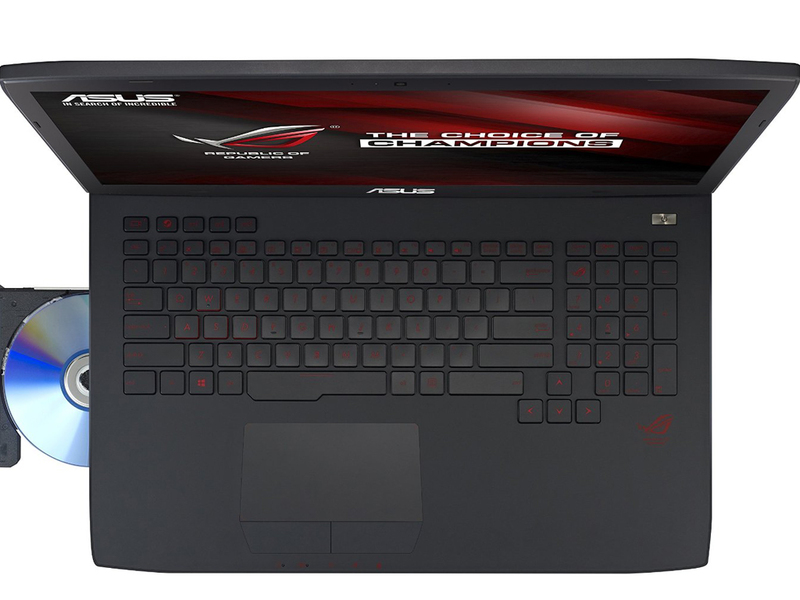 The Asus G751JY-DH72XA is typical gaming machine that looks the part and comes with performance packed. It will satisfy the most hard-core of gamers. At first glance, the dark grey laptop with brushed aluminium highlights on the cover sets the stage for an aggressive machine while the two red air vents at the rear totally seal the deal that we are dealing with a gaming device. 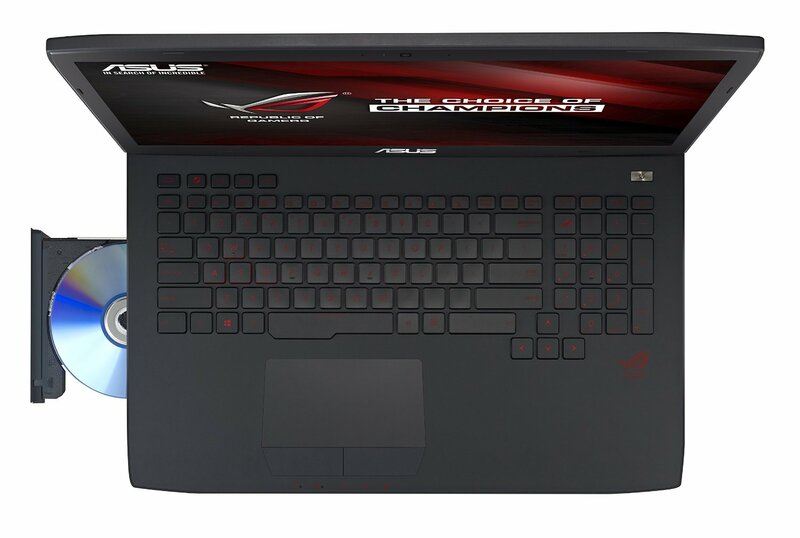 Keyboard on the Asus G751JY-DH72X is very responsive with tile keys and red LED backlight. 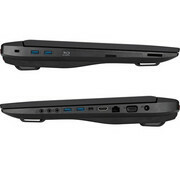 The overall profile is kept fairly simple with strong lines and most of the I/O is to the right of the laptop. The stunning anti-glare 17.3 inch IPS display features an aspect ratio of 16:9 and FHD resolution. The Windows 8.1 laptop comes with an Intel Core i7 4860HQ quad-core processor clocked at 2.4 GHz, 32 GB DDR3L SDRAM, an NVIDIA GeForce GTX980M GPU with 4 GB GDDR5 VRAM and a 1 TB HHD with 512GB SSD storage combination setup. There is definitely no shortage of raw performance power here. Other features include a Blu-ray writer, card reader, HD webcam, 4 USB 3.0 ports, a Thunderbolt port, and various display ports. Audio quality is impressive with the built-in speakers and subwoofer powered by MaxxAudio. 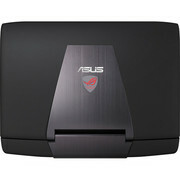 The Asus G751JY-DH72X comes with a 8-cell battery rated at 6000 mAh and the overall package weighs in at 4.8 kg. The reason we included in the comparison the 18.4-inch Dell Alienware 18, which costs EUR2500 is more than clear – there aren’t many competitors of G751 in its price range. The GPU of the Taiwanese beast is not even in SLI/CF configuration so the power you get won’t need any special profiles or not supported by some games, for instance. The 68 903 points in 3DMark Cloud Gate are just 2% lower than the Alienware 18 (2x Radeon R9 M290X with 4GB GDDR5, CrossFire) and the price of the Dell model is 67% higher than the basic ASUS G751 configuration with GTX 980M. 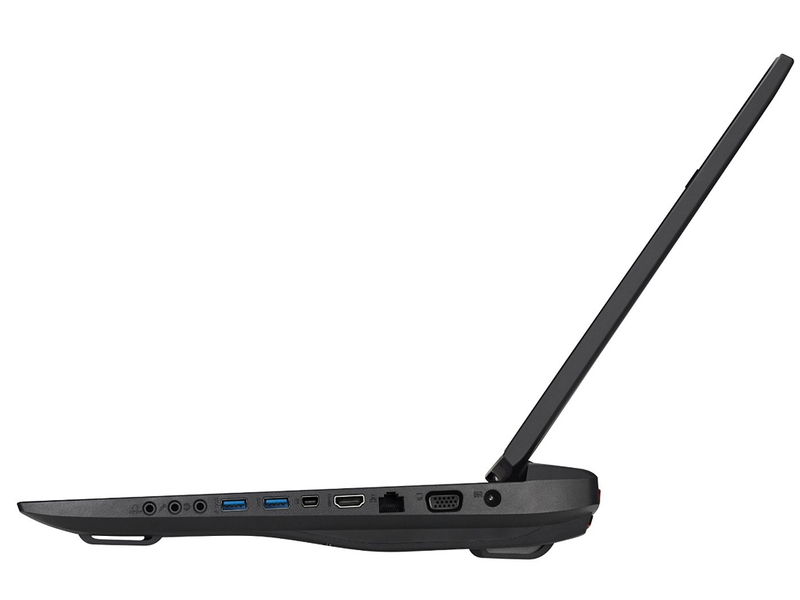 If we look closer into the specs – the Alienware doesn’t even have IPS display – one of the big advantages of G751. It’s unnecessary to praise the sound, image quality, cooling system of the notebook as the tests above speak for themselves. Although the Asus G751 is a really big and expensive gaming laptop, and not even the best performer, it's a great machine to use. If you're going to spend hours gaming, using the G751 as a desktop replacement, you'll really appreciate the low fan noise and comfortable keyboard. 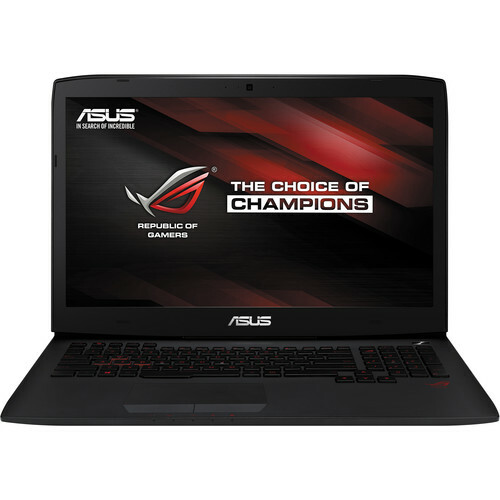 So how does the Asus ROG G751JY-DH72X end up on top? By beating the former Editors' Choice Origin EON17-SLX on price (the Asus rig is $700 less), better ergonomics, double the system memory, and much more storage (1.5TB vs. 990GB). The G751JY-DH72X is also a quarter-pound lighter than the EON17-SLX, has a more durable power adapter connector, and lasted almost two more hours on our battery rundown test. Sure, the Origin rig is ultimately a bit faster on games, but not always significantly so, and certainly not worth the extra $700 in the balance of features and performance. 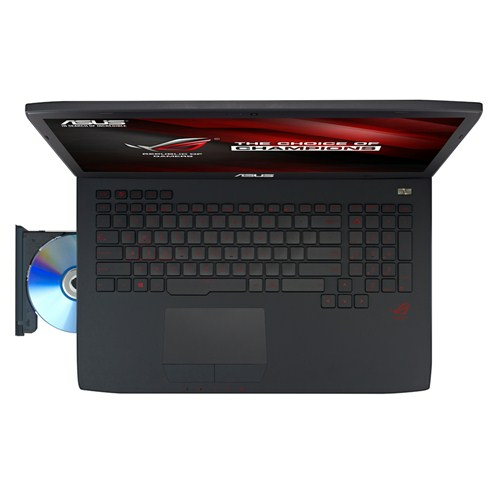 The configuration is based on Core i7-4860HQ processor (2.4-3.6GHz), 32GB of RAM and NVIDIA GeForce GTX 980m graphics with 4GB of dedicated memory, with a classic 1TB SATA hard disk or 256GB SSD, which is sufficient to obtain impressive results which means, that at this point, it is not possible to find a better gaming laptop. Positive: Distinctive Horn design; excellent FHD IPS display; excellent performance; good sound. 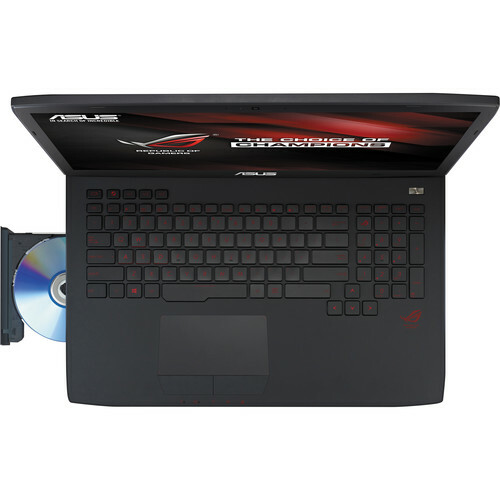 If you are reading this review, you have either sworn allegiance to gaming or looking for a powerful system to run high-end multimedia software. In both cases, Asus ROG passes with flying colours. I'm saying this not only because of its absurdly powerful hardware, but also the thoughtfully designed and robust heat-vents that keep the system running without a problem. The machine is expensive, but then it offers almost everything you could expect from a computer. The only gripe I have here is the lack of Blu-ray burner. 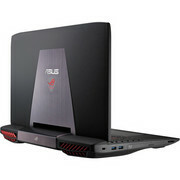 The Asus G751JT-CH71 gaming notebook computer features a 17.3 inch widescreen display with LED technology, which brightens faster and uses less power as well as provides higher quality pictures than most other gaming laptops from ASUS. The screen has an anti-glare surface and a 16:9 aspect ratio, which is standard for HDTV's, and a FHD resolution (1920 x 1080 pixels). The Windows 8.1 system is powered by an Intel Core i7-4710HQ quad core processor clocked at 2.5 GHz, 16 GB of DDR3L RAM, an Nvidia GeForce GTX 970M graphics card with 3 GB of GDDR5 VRAM and a 1 TB HDD. The notebook features a SuperMulti DVD burner, four USB 3.0 ports and a Thunderbolt port, an HDMI port as well as a VGA port, integrated stereo speakers and microphone, a standard 3.5 mm headphone and microphone jack and an SD card slot. 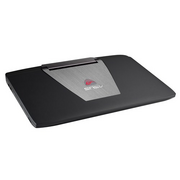 For connectivity, it features a standard 802.11ac WiFi card, Bluetooth 4.0 and Ethernet. The webcam can capture photos with up to 1.2 MP and is located above of the screen display. 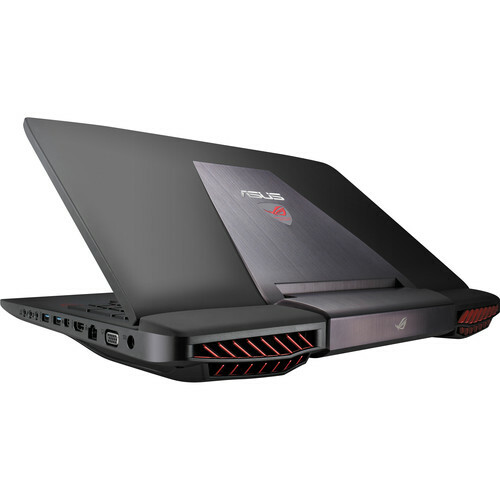 Finally, this powerful gaming notebook is powered by an 8-cell Lithium Ion battery with up to 4 hours usage per charge (88Wh) and the total weight of the notebook is about 4.8 kg. 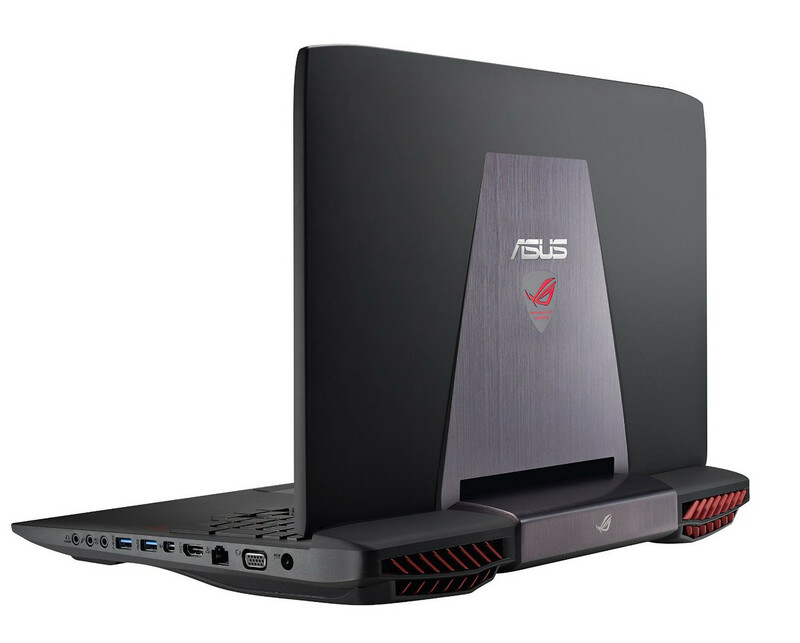 The huge Asus ROG G751J is one of the fastest laptops we've tested, but its huge heft, size and poor battery life stop it from immediate greatness - you wouldn't want to carry this around every day either. 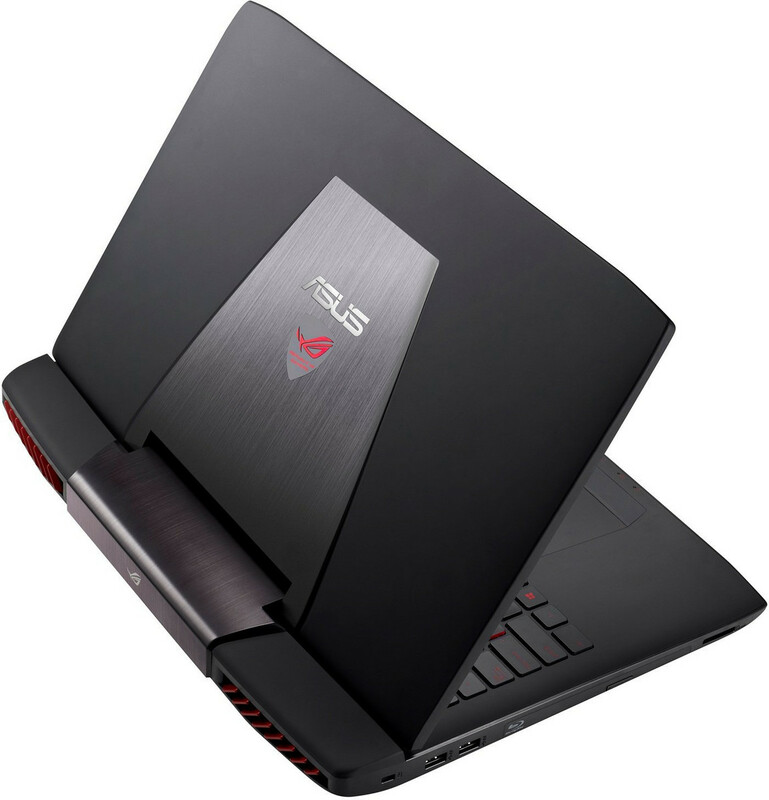 But if you're after a large, serious gaming laptop that you're not going to commute with everyday, that packs in some aggressive styling to match and will last for years to come, the G751J is well worth a look. 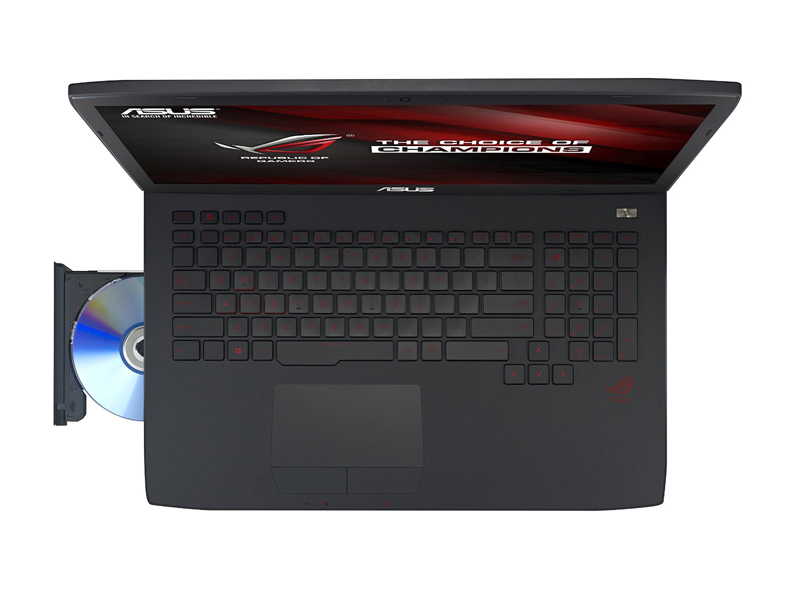 The G751J is a great affordable alternative to modern higher-end gaming machines. If you aren’t out to drop $2K+ on a gaming laptop, it offers much of the performance at quite a bit less dough, and with zero compromises in terms of build quality, to boot. 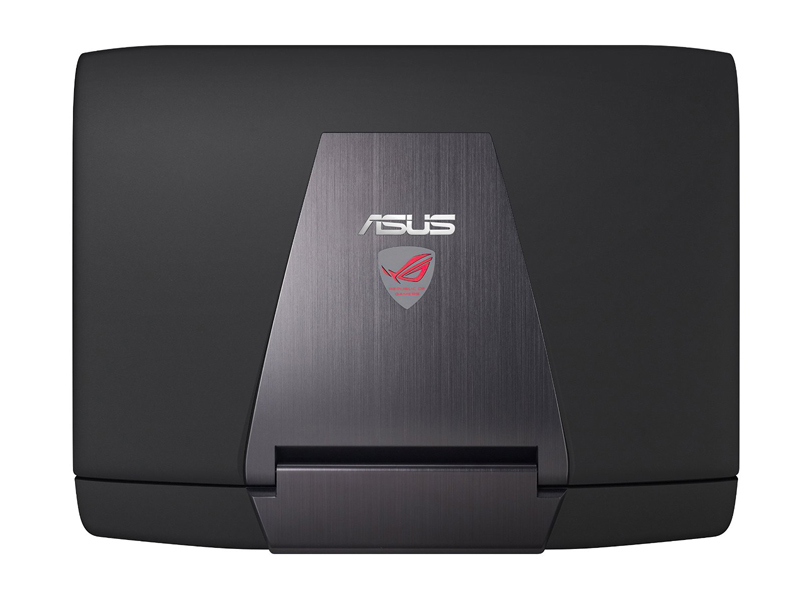 Speaking of which, it features an evolved design from last-gen’s ROG machines, and while the move to an internal battery (versus the G750J) might be a bit controversial, for the most part, the changes are overwhelmingly positive. From the solid, subtle (yet sleek) matte case material to the amazing cooling system, there’s not much to knock about the G751J’s engineering. Synchronization complete. Nvidia's G-Sync technology promises a smooth gaming experience without annoying screen tearing. 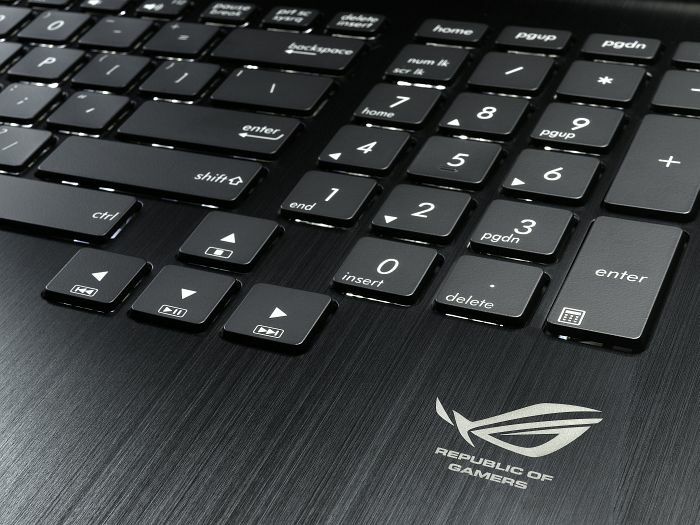 We could examine this feature for the first time in Asus' G751JY. Has the venerable V-Sync completed its service? Finally, we would like to address the key feature of this machine – the G-Sync-enabled display. The LG LP173WF4 SPD1 matches the one found in the normal version, but this time includes the G-Sync chip inside allowing a more smooth and pleasant viewing experience during gameplay. To be honest, the G-Sync chip really does make a lot of difference in more demanding games with settings set to maximum or close to a maximum. However, we will need more units like this one to fully understand and test the capabilities of the new technology and then we can make a more thorough and comprehensive assessment. 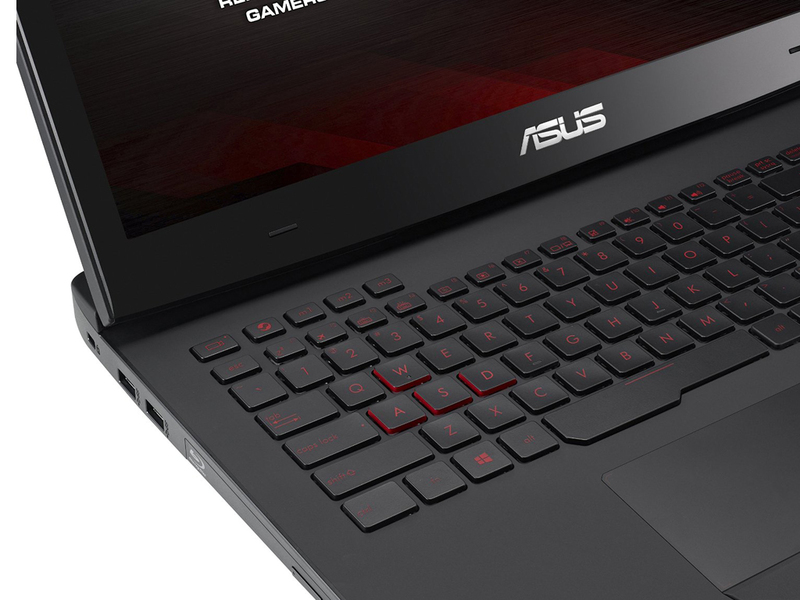 The last version of the Asus G751JY had a lot going for it, and that's only been enhanced by adding Nvidia's G-Sync technology to the new model. The laptop offers stunning good looks with serious graphical power, blazing-fast transfer speeds and a gorgeous display that actually enhances your gameplay. A traditional gaming portable that’s bigger and heavier than its rivals, the GL751JL uses its size to excel in several areas. It offers a competitive specification, a good screen and an excellent keyboard at a price that's reasonable for this category of machine. It’s an impressive heavyweight contender. 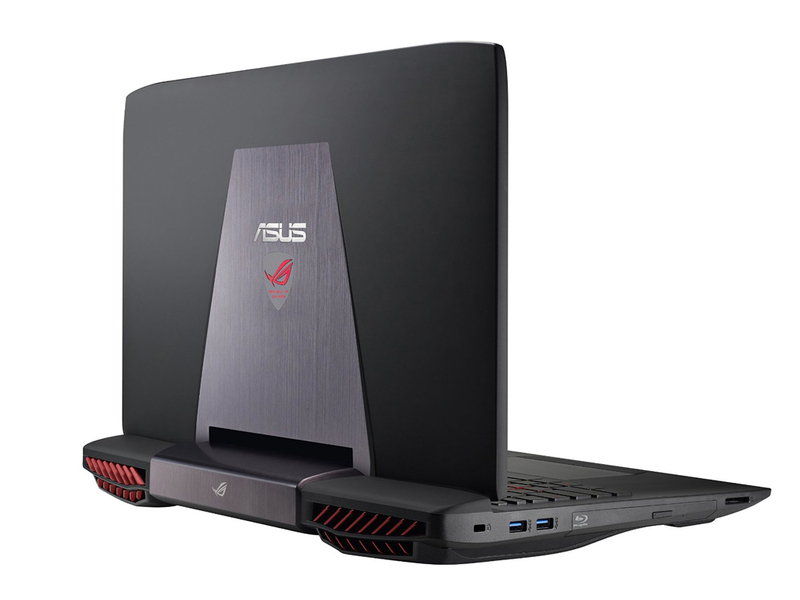 The Asus G751 offers as close as you're going to get to a premium gaming experience without trading up to a full desktop. 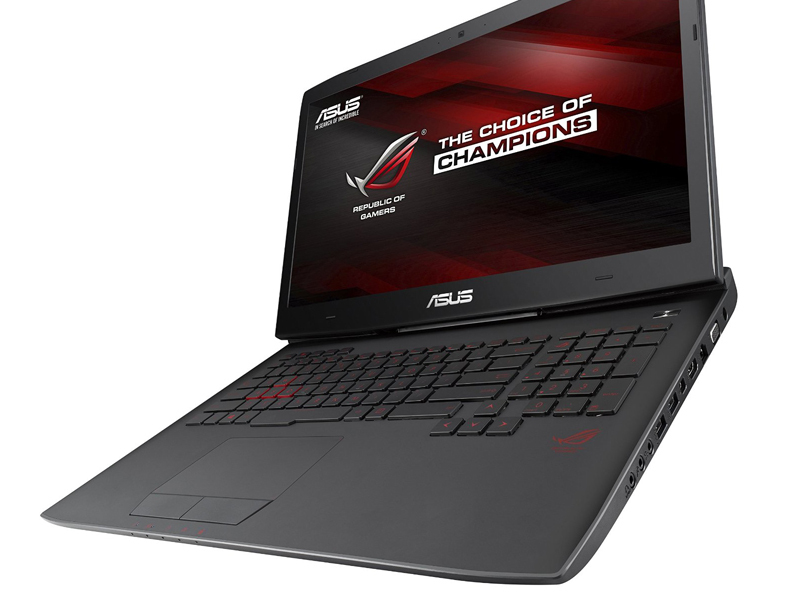 It's fantastic at 1,920x1,080 gaming and pretty good at 4K gaming, but so are many similarly priced 17-inch gaming laptops. It's the addition of G-Sync (and you'll soon see that in several other high-end gaming laptops) that gives this updated version a real boost. You'll notice below that our list of positives is much longer than our list of negatives, the latter of which are largely nitpicks. Yes, we're perplexed at ASUS' decision to split the 256GB OS drive into two partitions, but that's easily fixed with a quick visit to Disk Management. And while battery life isn't great, that's not unexpected for a desktop replacement / gaming laptop. The Asus G751 is for the loud and proud PC gamer. At first it seems a bit loud and brash in its design, being big, heavy and happy to show off its heat outlets, rather than hiding them away like an embarrassing growth. However, in almost every case there’s a thoughtful, practical reason for each part of the design once you scratch off the gamer-y veneer. 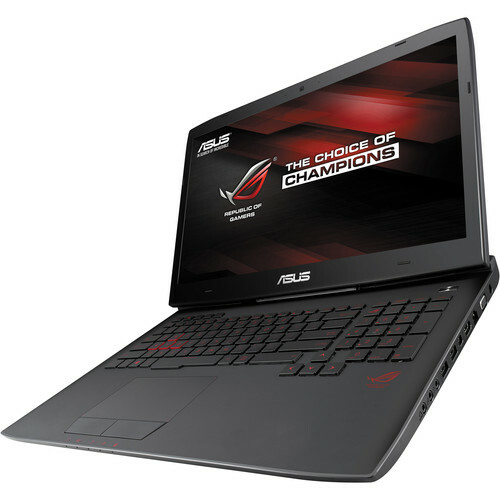 The Asus ROG G751JT is cheaper than the Gigabyte P37W v4, which has similar specifications, but it’s also heavier and thicker, with poorer battery performance. The Asus does have marginally better build quality and a more comfortable keyboard and touchpad. 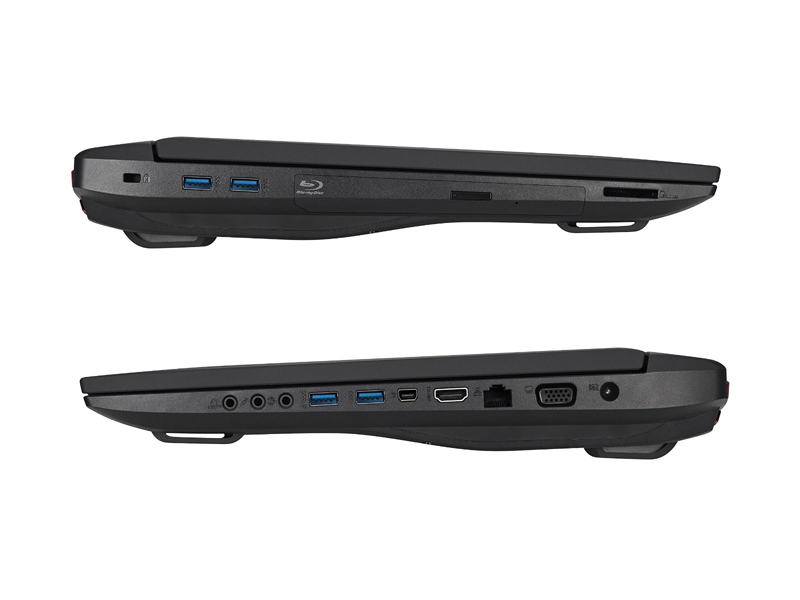 The two gaming laptops therefore prove difficult to separate. If you have the money, both are great choices depending on what qualities you value most. NVIDIA GeForce GTX 860M: Upper mid-range graphics card from the GeForce GTX 800M series.NVIDIA GeForce GTX 965M: Lower high-end graphics card based on the Maxwell chip GM204 and GM206 (newer 2016 version with higher clock rates). Part of the GeForce GTX 900M series.» Further information can be found in our Comparison of Mobile Graphics Cards and the corresponding Benchmark List. 4710HQ: Haswell-based quad-core processor clocked at 2.5 GHz with Turbo Boost support up to 3.5 GHz. Offers an integrated HD Graphics 4600 GPU and a dual channel DDR3 memory controller.4860HQ: Haswell-based quad-core processor clocked at 2.4 GHz with Turbo Boost support up to 3.6 GHz. 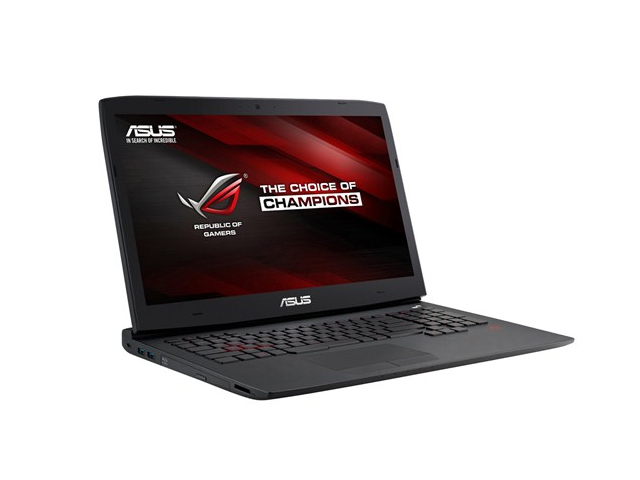 Offers an integrated Iris Pro Graphics 5200 GPU and a dual-channel DDR3 memory controller.4720HQ: Haswell-based quad-core processor clocked at 2.6 GHz with Turbo Boost support up to 3.6 GHz. 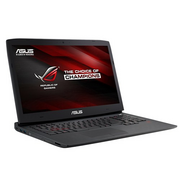 Offers an integrated HD Graphics 4600 GPU and a dual channel DDR3 memory controller.4870HQ: Haswell-based quad-core processor clocked at 2.5 GHz with Turbo Boost support up to 3.7 GHz. Offers an integrated Iris Pro Graphics 5200 GPU and a dual-channel DDR3 memory controller. 85.3%: This is a good rating above average. Nevertheless you should not forget, that 10-15% of all notebook-models get a better rating.» Further information can be found in our Notebook Purchase Guide.